The fox population in the United Kingdom and many other western countries is exploding. Whilst these creatures may look cute they can, if allowed to breed in large numbers, become a nuisance. According to the Fox Website, 425,000 cubs are born each year. There are even several specialist firms that offer humane deterrent services. But what steps can you take and which products can you use to stop foxes coming into your garden? Below you’ll find 5 of the most popular products on the market. We’ve also listed several practical steps you can deploy to deter foxes. This sturdy outdoor fox deterrent is the practical answer to keeping your garden free of any unwanted animals, including cats, squirrels and foxes. 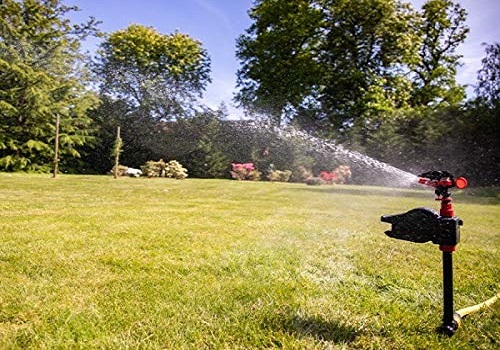 The product is conveniently designed to connect to a standard garden hose and to be triggered automatically with a short, 5-second burst of water if animals were to pass the motion sensor. Battery-powered (4 x AAs) with an average lifespan of up to 4 months. Range of up to 10m in a 120-degree arc, covering an area of at least 100sqm. Resets itself after every activation. 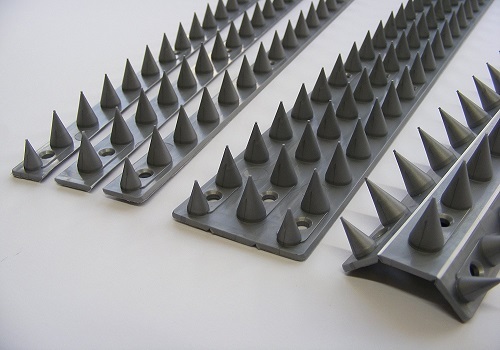 Cactus’s repellent fence and wall spikes are manufactured in the United Kingdom and designed to be effective against any unwanted humans and animals (cats, foxes and large birds in particular). The spikes are distributed with professional fitment instructions and should only be mounted at the legal height of 6 feet and higher. The product is purposefully designed to only cause discomfort to all unwelcome humans and animals and is not intended for harming anyone or anything. Effective repellent against humans and animals. Quantity: Pack of 20 strips. Are unwanted animals becoming a pest in your garden? Yoleo has developed a practical answer with this highly effective deterrent that keeps mice, rats, skunks, dogs, cats, foxes, birds, bats and many other animals out of your garden by emitting an ultrasonic tone. The animals are detected by a passive infrared sensor, observing any motion in a vicinity of up to 30 feet. Solar- and/or battery-powered (3 x AAAs). Three easily adjustable frequency control settings. Detection range of up to 30 feet, depending on the size of the animal. 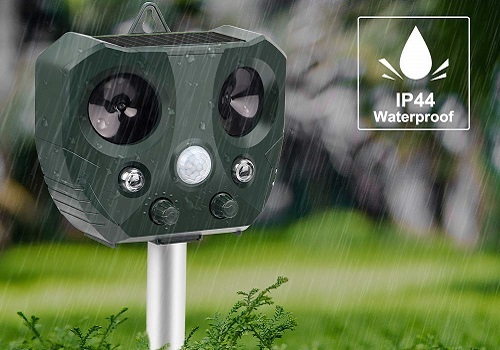 This compact deterrent is a humane device that focuses on keeping nocturnal animals such as raccoons, owls, wolves, deer, foxes and cats out of your garden. The product is based on the simple fact that animals hate being watched, emitting a flashing light when any movement is detected at night and conveniently making use of solar power to charge during the day. 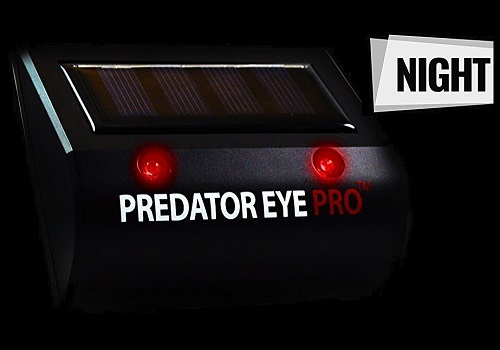 The new and improved Predator Eye Pro is available in a two-pack with double the surveillance power. Included are user-friendly instructions on how to mount and operate the sensors to ensure that no pest can ruin your property. Foxosution’s humane fox deterrent solution is manufactured in South Africa and presents a humane way of dealing with unwanted foxes on your property. The product creates an artificial scent within the problem fox’s territory that deters the animal from returning to that area, avoiding potential conflict. Decco Scoot protects an area of up to 34sqm against fox fouling, digging, urinating and scent-marking, and can be used around borders, fruit and vegetable crops, lawns, trees, shrubs, bulbs and hard surfaces. The product is applied with a watering can or sprayer and causes no harm to animals or the environment. Foxes are creatures of habit and tend to use the same routes when scavenging for food. Block entrances and exits and the foxes are more likely to find an easier route, perhaps via a neighbours garden instead of yours. A garden light, activated by movement, is a great way to scare off foxes and other nocturnal wild animals, if possible place several lights around the home and garden for maximum effect. Foxes often dig, usually near the boundary of the property. Prickle strips are small plastic spikes that prevent foxes and dogs from digging into the soil, they’re harmless to the animals but are an effective deterrent. 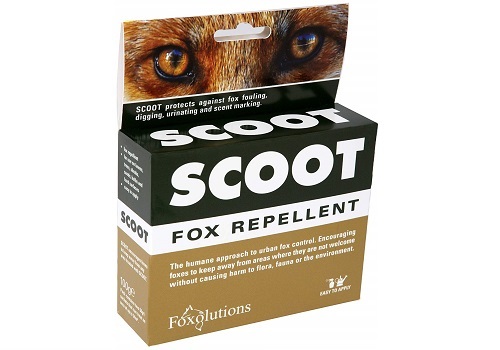 Foxes have a strong sense of smell and placing pungent items in the garden can overwhelm their sense, products such as scoot work well in the summer but may wash away during rainy spells. Motion activated clickers, which were once sold but are now hard to find, are a great way to scare off foxes. The water sprayer listed above also has a built in clicking noise and it works very well.